From the earliest period of Ohio's development the Swisher family has borne its part in the work of advancement and progress, so that the name is inseparably interwoven in the history of that portion of the commonwealth in which they reside. People of the present period can scarcely realize the struggles and dangers which attended the early settlers ; the heroism and self-sacrifice of lives passed upon the borders of civilization; the hardships endured ; the difficulties overcome. Those tales of the early days read almost like a romance to those who have known only the modern, prosperity and convenience. To the pioneer of the early days the struggle for existence, far removed from the privileges and conveniences of city and town, was a stern, hard one, and those men and women must have possessed wisdom, immutable energies and sterling worth of character, as well as marked physical courage when they thus selected such a life and successfully fought its battles under such circumstances as prevailed in the west. 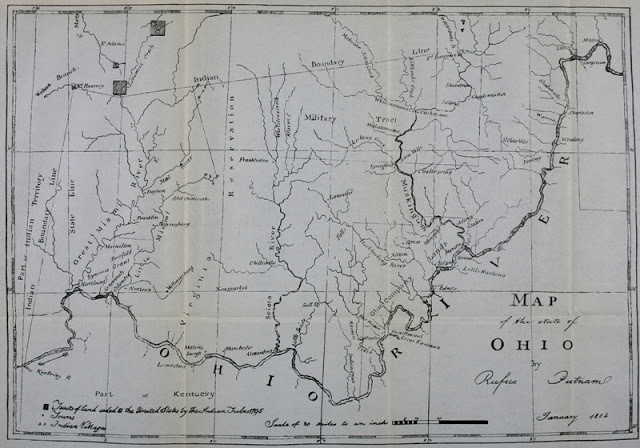 John Swisher and his family came to Ohio from Sussex county, New Jersey, in the year 1805, and settled in Fairfield county, where they remained until 1807, when they came to Madison township, Franklin county. Mrs. Swisher bore the maiden name of Mary Peterson, and upon her father's land northeast of the present site of Groveport Mr. Swisher and his family located. 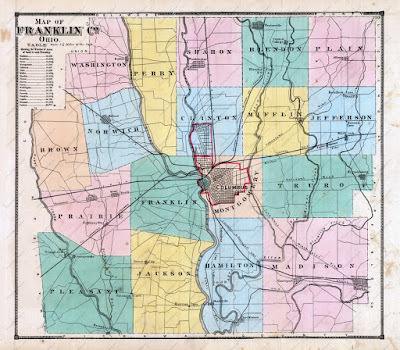 He afterward removed to the school section, where he resided for more than forty years, and afterward took up his abode in Dublin, Franklin county, where he spent his remaining days. His first wife died in 1836 and he afterward married Mrs. Shepherd, of Washington township. Of his family, six children lived to a period past seventy years of age, namely : Jacob, who spent his entire life in Madison township; Thomas, who spent the greater part of his life in Crawford county, Ohio, and there died; Frederick, who also resided in Madison township ; Fama, the wife of Absalom Peters, of Walnut township, Pickaway county, Ohio ; Mrs. Maria Minor, of Hamilton township, Franklin county; John, who died in Litchfield, Illinois; and Mrs. Hoover, the youngest, a resident of Bucyrus, Ohio. Jacob Swisher, the eldest of this family, was born in Sussex county, New Jersey, July 5, 1803, and was twice married. He wedded Miss Eliza Scothorn, who died a year later, and his second wife was a daughter of Philemon Needels. During the greater part of his life Jacob Swisher resided upon a farm in Franklin county and in addition to the cultivation of his fields he engaged in buying and selling live stock. On a number of occasions he walked to Baltimore, there marketing a drove of hogs, and also returned on foot. In 1840-1 he engaged in the pork-packing business in Groveport. His second and wife died in 1862 and his death occurred on the 1st of December, 1890. They had nine children. Henry Clay Swisher, the eldest, was born in Madison township, January 8, 1837, and long resided upon the home farm, making improvements thereon, including the erection of a substantial residence in 1874. He was married on the 18th of December, 1866, to Miss Jennie Nau, a daughter of Jacob abd Margaret Nau. Her father was born July 14, 1820, in Prussia, Germany, and with his parents came to this country when ten years of age. He was married, on the l0th of November, 1843, to Miss Margaret Bradley, and unto them were born seven children, four sons and three daughters. The mother died May 5, 1856, at the age of thirty-one years, and Mr. Nau afterward married Miss Amanda Hickle, on the 3d of February, 1867. Her death occurred January 15, 1890. 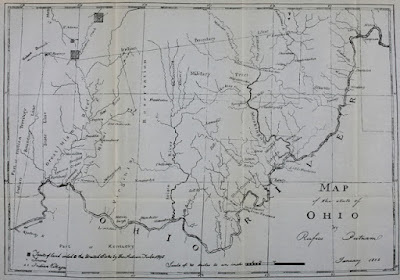 Jacob Nau came to Madison township, Franklin county, in 1856, from Fairfield county. Of his children, three sons and two daughters reached mature years and two of the sons were educated in Lebanon, Ohio, and afterward were graduated in Miami Medical College, in Cincinnati, Ohio. 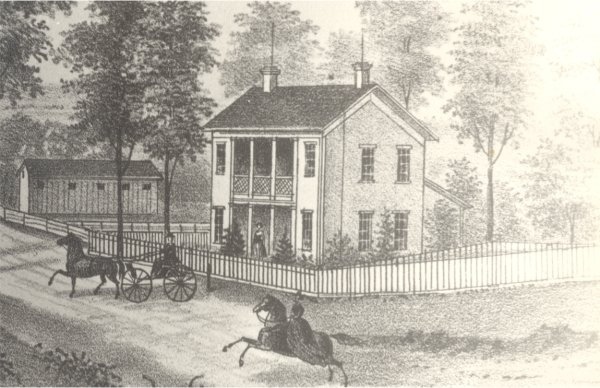 The youngest son pursued his education in Worthington, Ohio. One daughter is the wife of A. M. Brown, of Groveport, and the other became the wife of Henry Clay Swisher. Unto Mr. and Mrs. Swisher were born eight children, seven of whom are living, four sons and three daughters. The eldest, Ella Maxa, was born November 2, 1867 and on the 31st of December, 1895, became the wife of O. P. Grist, a son .of Samuel Grist, an early settler of Madison township. Charles Clay is the next younger. .Walter was born December 25, 1870, and died on the 9th of January, r 871 . Edgar Allison was born January 23, 1872, was married, December 2, 1896, to Miss Alice Snow, of Hardin county, Ohio, and is now engaged in the drug business in Milledgeville, Fayette county, Ohio. Anah Alice, born December 16, 1873, and Emma Florence, born December 13, 1878, are successful school-teachers in Franklin. county. Aniy Margaret, born August 14, 1884, is now a student in the Ohio Wesleyan University at Delaware, Ohio. Jacob Wilbur, the youngest of the family, was born December 13, 1883, and is now a student in the high school at Delaware, this state. Charles Clay Swisher, whose name introduces this record, was born in Madison township, Franklin county, on the 19th of February, 1869, and in his youth attended the public schools near his home. Later he .was graduated at the Groveport high school, at the age of nineteen years, and subsequently pursued a post-graduate course at Reynoldsburg, Ohio. In the fall of 1888 he began teaching in the country schools and 'followed. that profession in Franklin county for several years. He always. held a high-class certificate and was a very successful instructor, giving excellent satisfaction in every district in which he was employed. On the 27th of February, 1896, Mr. Swisher was united in marriage to Miss Lucia E. Chaney, of Canal Winchester, Franklin county; Ohio, the eldest daughter of Edward and Eliza A. (Tallman) Chaney and a granddaughter of the Hon. John Chaney, one of the early pioneers of Franklin county. Mr. and Mrs. Swisher now have two interesting children : Helen E., who was born May 27, 1898; and Marcus Henry, born June 4, 1900. Since 1893 Mr. Swisher has been engaged in farming upon the fine farm that was owned by his father, and has placed the land under a high state of cultivation, so that the well tilled fields bring to him a good return for the care and labor he bestows upon them. He is also a contractor. 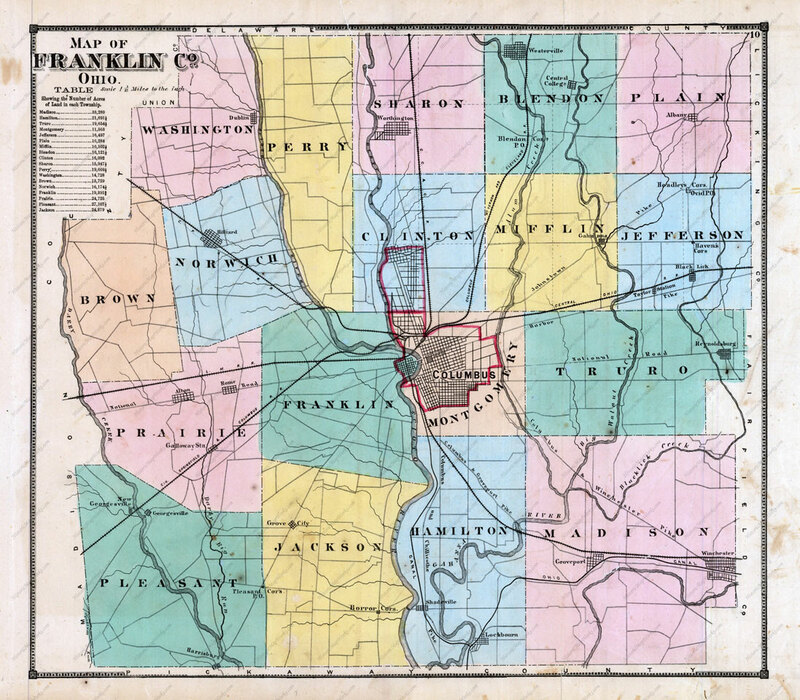 At present Mr. Swisher occupies the position of issuing clerk under the clerk of the courts of Franklin county. In politics the elder Swishers were Whigs, but since the organization of the Republican party they have supported its principles, and the subject of this review is also allied with that organization, taking an active interest in its work and doing all in his power to promote the welfare.. of his party. Fraternally he is connected with the Knights of Pythias lodge at Canal Winchester. He takes a deep interest in everything pertaining to the welfare of the county and to its progress along material and moral lines. His life has been an honorable, useful and upright one and all who know him hold him in the highest regard for his sterling worth. FRANKLIN SWISHER, (PICTURE) who has been a resident of Marion County since 1859, resides on his fine farm located in section 30, Tully township. He is one of the most highly respected, and prosperous agriculturists of the township. He was born near Vanlue, Amanda township, Hancock County, Ohio, November 1, 1842, and is a son of Thomas F. and Margaret (Plotner) Swisher. Thomas F. Swisher was born in New Jersey and from that State came to Ohio, first locating in Franklin County. In Marion County he was married to Margaret Plotner, a daughter of George Plotner, who came from Pennsylvania to Marion County, Ohio, and became the owner of 320 acres of land in Scott township and 160 acres, in Tully township, besides other property. Mr. Swisher was a soldier in the Civil War. He enlisted from Upper Sandusky in the 55th Regiment, Ohio Vol. Inf., but after one year's service was discharged on account of disability resulting from an attack of typhoid fever. After leaving the army, he located in Tully township, Marion County, which was about 1864. Eight children were born to the parents of our subject, namely: Mrs. Samantha Foutch, a resident of Iowa; Franklin; George, who enlisted in the army and died from the effects of a wound received in a skirmish; Mrs. Phoebe Sharrock,. deceased; William, a resident of Iowa; Mary, wife of William Jones, living in Scott township; Thomas, residing at Caledonia; and Mrs. Margaret Winemiller, who lives in Morrow County, Ohio..
Franklin Swisher was about 16 or 17 years old when he came to Tully township to live with his grandfather Plotner, who resided where Samuel Hill now lives. Returning to Hancock County he again came to this township in the fall of 1859 and lived with his uncle for some time, after. which he worked for two years on the Crissinger and other farms. Since 1859, with the exception of one year spent at Galion, he has been a resident of this township, and has always followed farming. On December 28, 1861, Mr. Swisher was united in marriage. with Savilla Crissinger, who was born, in Crawford County, and is a daughter of David and Sarah (Phillips) Crissinger, who first settled in Crawford County, on coming to Ohio from Pennsylvania, and from there came to Tully township and bought the present farm of our subject, on which they spent the rest of their days. 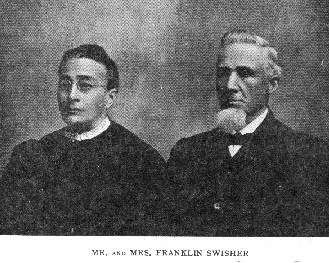 Mr. and Mrs. Swisher have had no children of their own, but have had at various times six children in the family, of whom three boys died quite young; two girls and a boy were reared to maturity as. follows: Ella M. Crissinger, a cousin of Mrs. Swisher, who became the wife of J. H. Pace, Nellie Sharrock, a niece, left an orphan at 12 years, who is now the wife of Henry Baldinger, of Tully township; and Homer M. Messenger, whom they took to raise when four years old, who is now a railway mail clerk between Cleveland and Cincinnati, Ohio--he served in an Ohio regiment during the Spanish American War and saw service in the Philippines. These children have been treated by Mr. and Mrs. Swisher as their own and have been in every way a credit to them. Mr. Swisher is a Democrat in politics; his father was a Republican. He has served six years as an infirmary director-from 1893 to 1899, inclusive-was township trustee six or eight years and was township treasurer for three years. He is a member of the English Reform Church, of which he has been an elder for about 12 years.